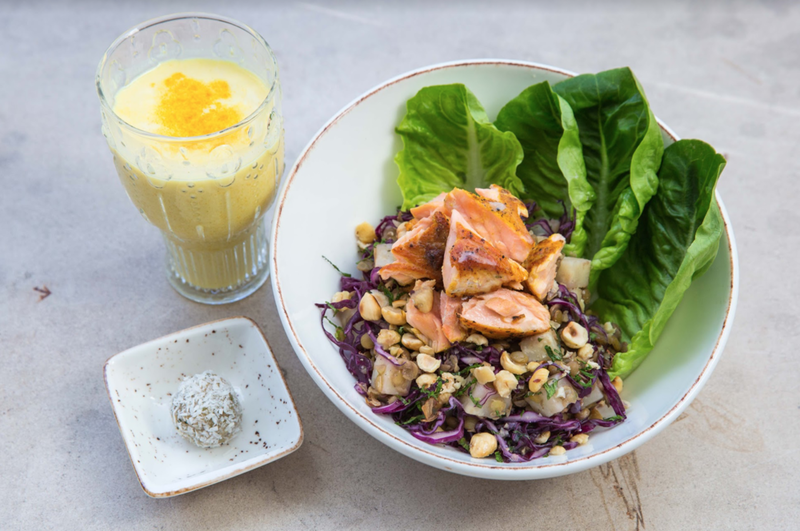 Jasmine Hemsley created the East by West Café as a three-month pop-up concept in Mayfair within the London concept store by luxury, ethical fashion retailer Maiyet. 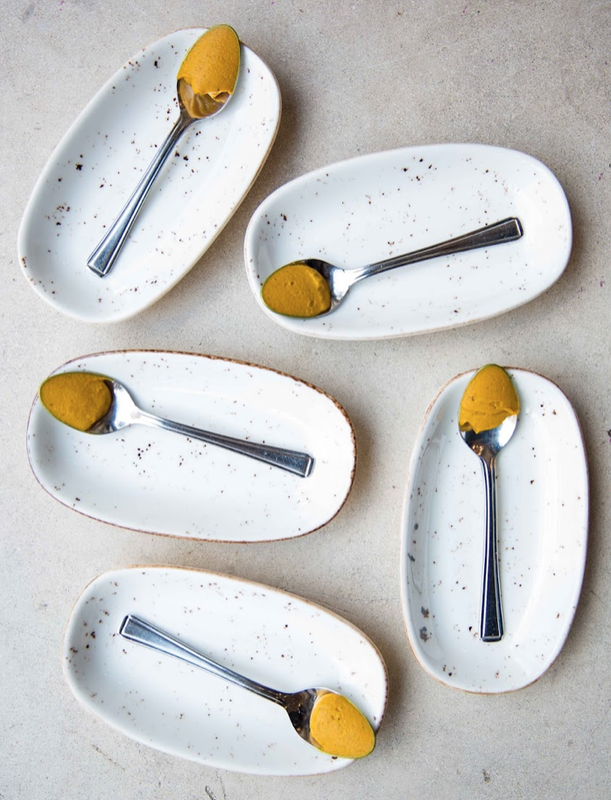 Fusing ancient Ayurvedic food principles with fresh British seasonal ingredients, East by West served a tempting all-day menu boasting confident flavours. From warming breakfasts through to the “surya agni” lunch (a hearty meal of a dish-of-the-day, a lassi or hot drink and a sweet), and frothy golden milks through to evening mocktails, the café offered the chance to dine in or take away. East by West operated a rotational, all-day menu of easy-to-digest, lightly spiced comfort dishes. With a focus on food freshly cooked, the café kept lunchtime simple with a choice of two mains and a number of accompaniments such as rose and cumin lassis and herby green chutneys. Guests were greeted with Jasmine’s signature Goldenspoons, a turmeric, black pepper and coconut oil paste sweetened with raw honey, and enjoyed hot chickpea ghee-“buttered” rotis, sautéed salad medleys, affectionately called Pakti bowls, and sweet ladoo bon bons eaten at the start of lunch — yes, dessert comes first in Ayurveda! 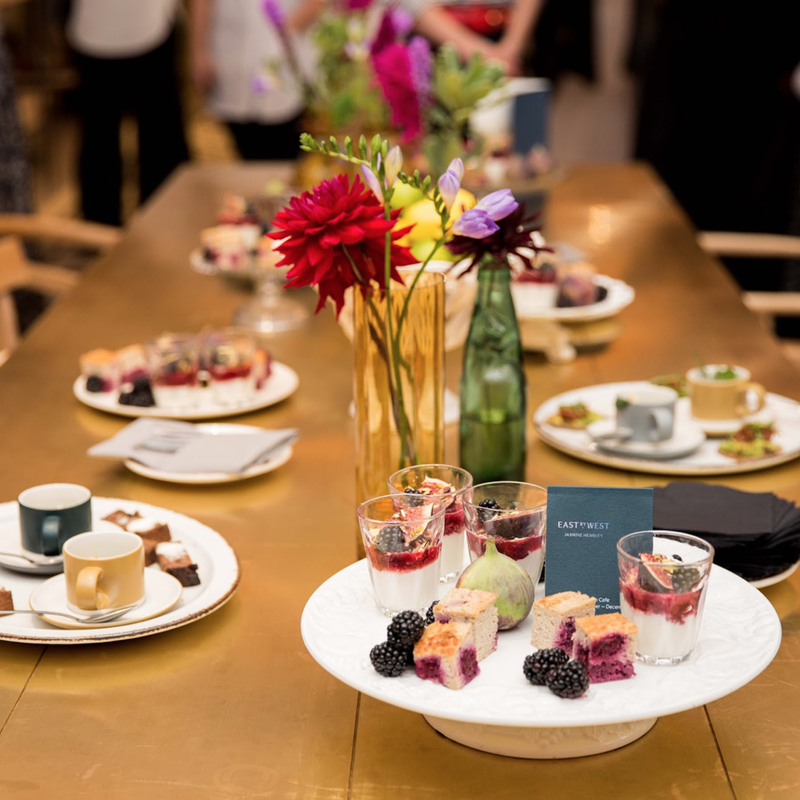 The café was a resounding success as everyone — from businesspeople to healthistas to long-time Ayurveda enthusiasts, including visitors from the U.S. and Australia where Ayurveda is more widely known and who sought it out specially — met for mealtimes in the pop-up. 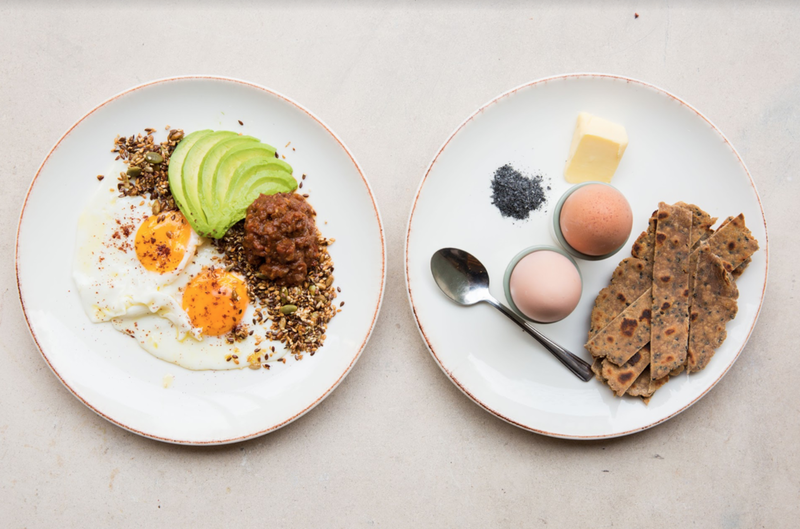 It was such a success in fact, proving Jasmine’s intuition that the fast-paced Western culture would be receptive to the holistic wisdom of Ayurveda, that East by West the café soon became East by West the cookbook just a year after the café’s launch.